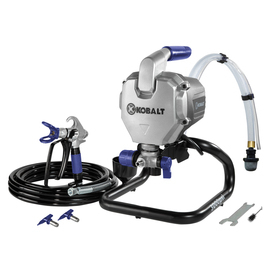 Manual for the Kobalt model SGY-APS41 paint sprayer. Includes assemby, operation, spray techniques, care and maintenance, trouble shooting guide, schematic and part description. 33 pages.